We have found that patio doors are one of the most highly targeted, prime entry points for intruders – and as such, need to be totally secured. Patio doors are susceptible to being lifted up and disengaged from the locking system which is one reason why they are a security risk. FC Locksmith can provide a number of products designed to provide extra security for your patio doors – from security bars and patio door locks, to patio door pins. One of our highly skilled team of technicians can supply and install these for you without any damage to your patio doors and without breaking the glass. 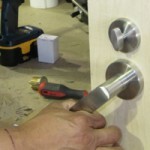 If you require an emergency locksmith to fix or replace the locks on your patio doors then we are on hand to assist. FC Locksmith operate 24 hours a day and seven days a week – every week of the year – so if you find yourself the unfortunate victim of a break-in via your patio doors you can be certain we will pick up your call and be there to assist you re-secure the doors as soon as possible. 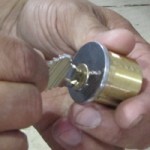 We at FC Locksmith always have your safety and security in mind both inside and outside your home. Patio doors, whilst being a common target of entry during a break-in can also be a safety hazard if you have young children – FC Locksmith can provide you with a patio door lock which unlocks only with a key, thereby childproofing them – plus, this also helps to prevent any disturbance or lifting of the door.